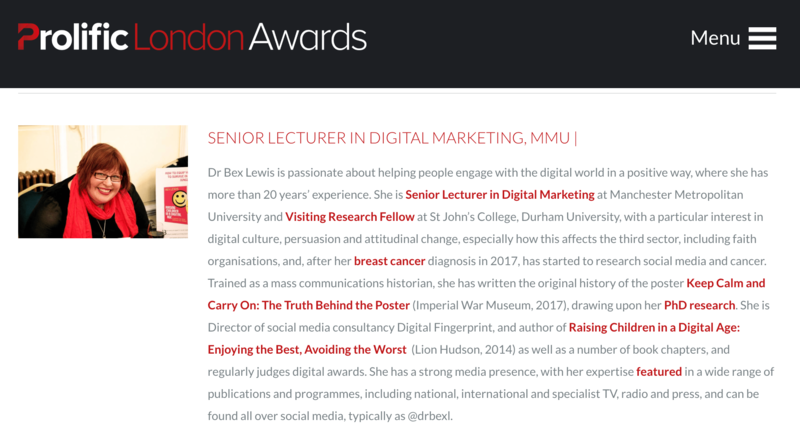 I’ve previously judged a variety of events, including The Jerusalem Awards, and Premier Digital Awards, and now pleased to say that I’ll be judging this year’s Prolific London Awards. Prolific London is the leading website for news, features, research, jobs and events about the capital’s creative sector, with a particular focus on mid-market marketing and tech news. You can see the Awards Categories, which we’ll be judging in June (by Skype if necessary, due to my treatment), with the Awards Ceremony in London July 16.